Home / Welcome to Brandeis! We're excited to meet you! New Student Orientation at Brandeis University is unique because it is created by students, for students. Orientation is coordinated by a small group of student leaders who work closely with the Department of Orientation staff to create, plan and implement Orientation for the incoming class. From the moment you arrive on campus, our vibrant student leaders and friendly staff members will welcome you into the Brandeis community. The first people you see will be the volunteer Orientation Leaders, who will serve as your guides, resource and mentors throughout Orientation and beyond. If you are living on campus, you will also meet your Community Advisor, a returning student who lives in your residence hall. Even though Orientation will come to an end, your Orientation Leader (OL), Community Advisor (CA), staff members and faculty members will be here for you whenever you need us. Check out some more information below regarding August, Midyear, and Transfer students. Orientation is full of informative and educational programs, sessions and events that will help ease your transition to life at Brandeis. You will begin to understand what it means to be a Brandeisian by learning about the university’s history, the resources available to assist you and the intelligent faculty members with whom you will work. Whether or not it's your first time away from home, our goal is to make Brandeis University feel like your Home Away From Home. A lifetime of memories begins here! As a member of the Midyear class, you are invited to participate in the January Orientation Program. This program is specifically designed to help you get to know Brandeis and discover many of the opportunities that will be available to you. At Brandeis, we emphasize integration of Midyear students into their class year and building relationships with August Arrival students. As the program progresses, you will get to know your fellow classmates, university services and resources and members of the campus community. Whether or not it's your first time away from home, our goal is to make Brandeis University feel like your Home Away From Home. A lifetime of memories begins here! Move-in for all incoming Midyear and Transfer students will be Friday, January 10, 2020. Transfer students arrive on campus at the same time as incoming first-year students and are strongly encouraged to participate in all Orientation events. 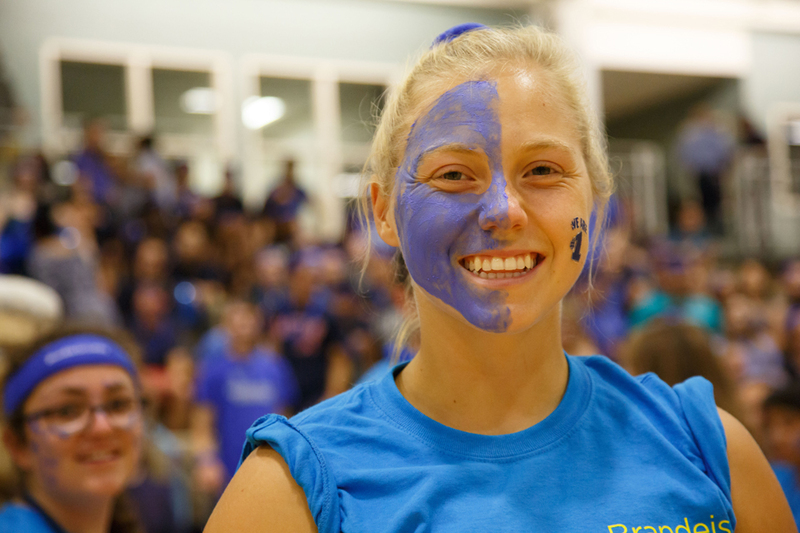 Though you may have already participated in a new student orientation at a previous institution, our Orientation highlights all aspects of the Brandeis community — its resources, staff members, and fellow students — that are important for you to know.